Jordan Ingram reporting for FishDuck.com at Hatfield-Dowlin Complex in Eugene, Ore. Shortly after practice today, FishDuck.com was able to catch up with Morgan Mahalak to discuss his progress throughout the last couple weeks of spring practices. 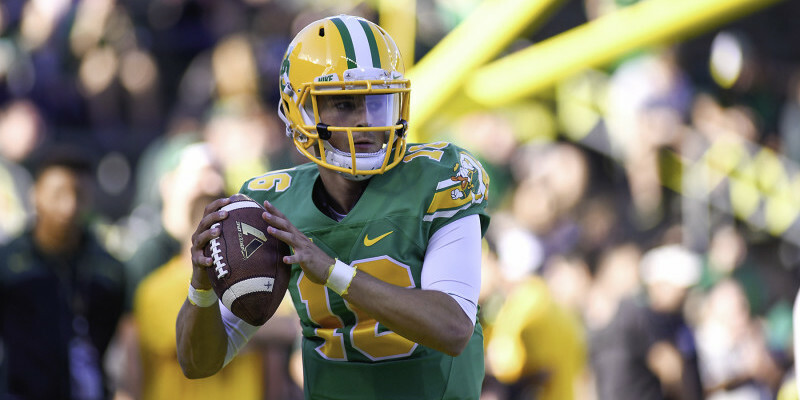 Earlier this week, Oregon Ducks Head Coach Mark Helfrich spoke about Mahalak regarding his progress in this past off-season and into spring ball. Lockie has been a mentor for the younger quarterbacks, including Mahalak. 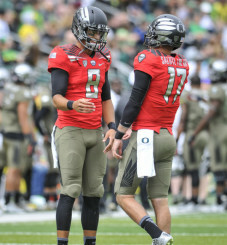 Mahalak mentioned that he continues to benefit from Lockie’s years of experience as a two-year understudy to Heisman Trophy winning quarterback Marcus Mariota. Eastern Washington graduate transfer Vernon Adams is currently finishing his degree and is not eligible to participate in spring practices. For the younger quarterbacks such as Mahalak, this is an opportunity to boost their stock with coaches and teammates. Hatfield-Dowlin ComplexJeff LockieMarcus MariotaMorgan MahalakOregon Football 2015Oregon Head Coach Mark HelfrichOregon Spring PracticeVernon Adams Jr.